The Dow Jones opened lower today and is now hovering around the support at 12420ish. A break of this level should lead to a decline to last week's low. 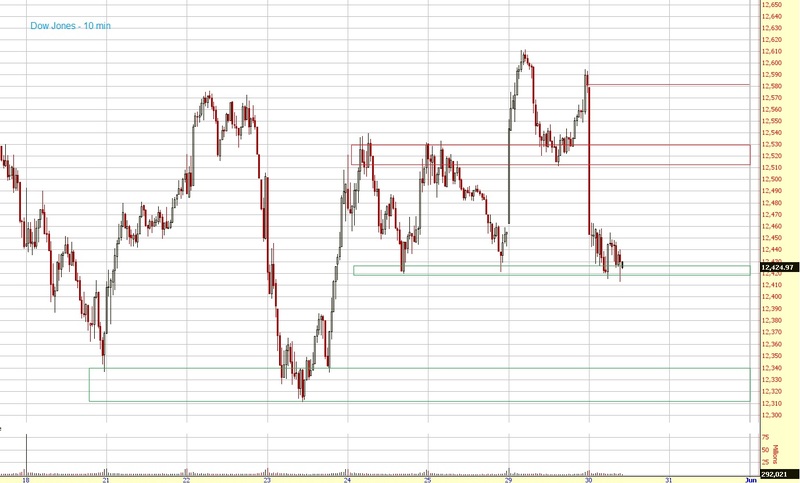 If we get some kind of a reversal in this area though then the targets are 12520-30ish and 12580 (gap close).